Sergio Villalba was born in the Canary Islands. He was raised by the seaside and started to surf when he was just 9 years old. Even though at that time there was no surfing media, DVD's and almost no magazines existed in his area, he used to feel the necessity to capture somehow those moments every surfer lived in the water. 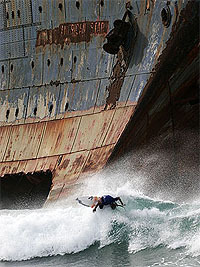 When he was 18 years old he moved to Barcelona, where he could not get any surf since he was working full time. But there he learnt much about photography, shooting in dark and smoky jazz clubs. As soon as he had lived what he had to live he came back home and settled at his born land. 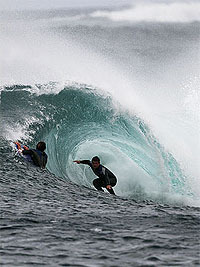 Nowadays, he's a freelance photographer, working mainly in the European surfing scene. Since he's not only focused in action shooting, but portraiture, lifestyle, culture and landscapes, he uses to do other kind of assignments. He's a proud member of The Wideangle travel photo agency, a common contributor to Spanish and European magazines, and has also worked for the O'Neill European headquarters on a couple of their upcoming campaigns.